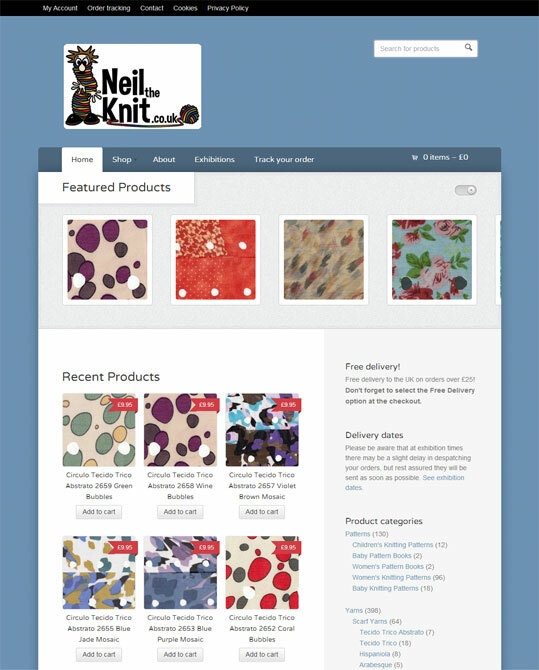 We were asked to build the first ever website and online shop for Neil, who has spent many years selling wools and yarns at exhibitions around the UK. Neil was clear that the shop should be easy to use and clearly laid out so we built a web shop with a simple interface and a one page checkout. The shop has proved very successful and since launch we have expanded the product range and added new products to the shop to the point it currently has almost 600 products. We have also produced Neil’s marketing material, from business cards and a banner to branded jute bags for his customers.